For people interested in the intricacies of church life, canon law is a most interesting study. Since canon law, at its best, is to reflect and embody an ecclesiology (or ecclesiologies? ), the law is a kind of "applied theology." I am not a canon lawyer, nor -- as the old commercial had it -- do I play one on TV! But here's an interesting canonical tidbit. Many of us who write on the diaconate make the point that "deacons are not priests" while at the same time, "deacons are clerics"; in other words, being a "cleric" is not reduceable to the priesthood. Canon Law also makes that point repeatedly. One good example is "the deacon and politics." Here's how it goes. Canon 285, subsection 3, says that "clerics [which of course includes deacons] are forbidden to assume public offices which entail a participation in the exercise of civil power." Now, in its broadest sense, this would include political offices, but also other offices as well. For example, as a career Navy officer, I exercised civil authority. And I did so, even after I was ordained a deacon. Here's why that can happen. Canon 288 is a kind of "permanent deacons' canon." It says, "Permanent deacons are not bound by the prescriptions of cc. 284, 285 (#3 and #4), 286, 287 (#2), unless particular law determines otherwise." So, while canon 285 forbids all clerics from this function, canon 288 releases PERMANENT deacons (deacons who are seminarians studying for the presybterate would not be released by this canon) from its provisions. Bottom line: permanent deacons may service in "public offices" unless another legitimate legislator (such as the USCCB or the diocesan bishop) issues his own law on the matter. Interesting point: Many of our deacons do, in fact, serve in public offices. Perhaps many, many more SHOULD! Deacon-judges, deacon-mayors, deacon-governors, deacon-congressmen, maybe even deacon-Pres. . ., no that's going too far! LOL! What do you think? Should deacons get even more involved in the political sphere? No, I do not think any members of our clergy should be encouraged to run for or serve in elected public office. Instead, our deacons ought to be challenging the laity to assume their civic responsibilities: not just to vote responsibly, but to keep their eye on civic life and hold their legislators' feet to the fire on issues of human dignity. As Vatican II forcefully reminded us, it is the laity who are challenged to bring the light of the gospel to public life. In recent years, we have been treated to the spectacle of priests and even a bishop who convinced themselves that what the lay public needed was CLERICAL governance (i.e., governance by themselves). Please don't encourage deacons in a similarly vain endeavor. First thing you know, some deacon would pull a "Mario Cuomo at ND," perhaps wearing his collar for the event because his wife thinks he looks great in it. sorry bill have to disagree with you on this one. I think there is too much of a temptation to compromise the preaching role of the deacon. To whom would the deacon give fidelity to in the pulpit over difficult moral issues? 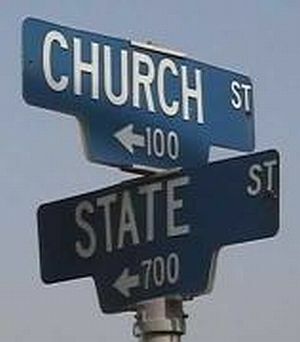 Doctrine or his political party platform? Worse still a deacon politician may vow never to speak about the moral teachings of the church from the pulpit. In effect, then, his political affiliation has already trumped his diaconal ordination by way of silence. And from experience of both vocations, I am strongly of the opinion that a deacon should NOT run for elective public office. The pressures to conform to the sometimes immoral demands (on issues) of your constituents or be defeated in the next election is too great. Along with overpowering ambition rearing its ugly head--there are tremendous temptations of various other sorts--including offered bribes that are sometimes so subtly done that a person can become irrevokably compromised without even realizing what is going on. Just because it is “legal” by canon law does not mean it is right. I can see nothing but problems following your line of thought. 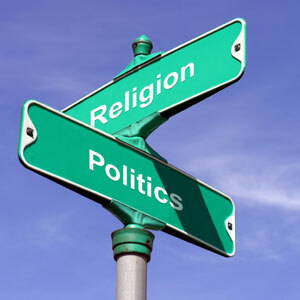 -An official clergy of the church running for elected office would identify the church too much with a specific political opinion or agenda. People not of his party or agenda would just be turned off and he is to be “all things to all people.” There would be nothing but confusion if a minister ran as a tea party candidate or a progressive political agenda. work in the world to build up the kingdom. The Pope this weekend talked a few times about the need of the church to have an empowered laity engaged in the world. A deacon is not ordained to run as an elected official in society, but to help empower the laity involved in politics, to live their calling as real laity of the church. I'm not really advocating the practice; I was just pointing out the possibility! That's why I asked for comments. But take the argument one step further. Following your train of thought, just which professions would also be inappropriate for deacons? The military, perhaps? Police? Yes, Vatican II did stress the role of the laity in transforming society. But does that mean that the clergy, especially deacons, may NOT participate in that role? Isn't that responsibility something that flows from our sacramental initiation? We do not lose that responsibility with ordination. Taken to the extreme, we could wind up with the old paradigm of clergy restricted to the rectory and sanctuary. It was this kind of attitude that the bishops at Vatican II were trying to overcome, in my opinion, with their stress on "co-responsibility". As I said, I'm just floating the idea to get people's opinions! This is one of those areas that affects deacons more than presbyters precisely because we deacons live and work in the secular arena. We HAVE to, because we don't get paid by the church and are expected to work and provide for ourselves and our families. My response was to the aspect of deacons seeking elected political office. If a catholic man really felt his vocation was to service in elected politics, then why does he also feel the need to be deacon? This just seems to be a very impoverished idea of one’s baptismal vocation. And I agree with all the reasons listed in the above comments that it would seriously undermine his diaconal ministry in the local church. Perhaps some concrete examples of deacons who are doing this now would give some clarification and make this more concrete. An interesting comparison might be made to the life and ministry of retired Sen. John Danforth -- an Episcopal priest who delivered the homily at the funeral of Ronald Reagan. I don't know if he's ever spoken or written about being both a politician and a priest. He might have some interesting insight. My: how we tend to forget things! In January 1973, Jesuit Father Robert Drinan (who died in late January, 2007) starts serving in the U. S. House of Representatives for the Fourth Congressional District of Massachusetts (suburban Boston). He becomes a member of the House Judiciary Committee and served with distinction during the Nixon impeachment process. Yes, he was asked (ordered) by JPII to resign but his place in American Congressional History is already etched in stone. Here in the Midwest, we did have a Permanently Ordained Deacon who was elected as a County Commissioner for his rural county. I think he served two terms. No one in his diocese made any deal out of it at all. I think the Episcopal church has very different canons regarding their priesthood and ministry, so I do not know how helpful a comparison it would be? Perhaps their being so few ordained ministers from other denominations in congress etc. shows how rare it really happens? proves the wisdom of priests staying out of elected office. Since deacons can hold a political office in theory, it all depends on the discernment at the local level. If a bishop feels having a deacon run as a “tea party” candidate for congress, then yes he can allow it. But something like that would open more questions in other areas. Has their been a RC deacon who ran for congress or even a state assembly? Would one be allowed to run as a democrat? Could they only run as a republican? If a deacon as an ordained minister of a church ran for national office, would that have any ramifications with the very thin line with the church’s tax exempt status regarding supporting candidates? And how is this enhancing his diaconal ministry? I don't think anyone would suggest that there should be wholesale involvement of deacons as elected officials; on the other hand, as I stated before, deacons are in a very, very unique position: We come to ordained ministry from a variety of walks of life and generally remain in those occupations and professions after ordination. I also want to respond to your earlier comment about a "crisis" in the diaconate concerning lay ministry. While I would agree that SOME deacons may struggle with this, most do not. I have been blessed to visit nearly every one of our dioceses as part of my former duties at the USCCB. When diaconal candidate selection is done properly, the very men selected for formation are already heavily engaged in a variety of secular and ecclesial ministries. In other words, they're already involved with fulfilling Vatican II's vision of an empowered laity. It is against that context, fully appreciating the roles and responsibilities of the laity (since that's precisely what they've been doing! ), that they then approach ordained ministry. So, I'd have to say that most deacons I've known over the years have an excellent appreciation of lay responsibilities. By the way, we have many deacons (I don't have exact numbers) who serve in public offices. In particular we have deacons serving as judges from the federal bench to city magistrates (many were judges BEFORE ordination); we have deacons serving as "professional" polticians (especially in the New York area); there was even a deacon who ran for a state governorship a few years ago. The only particular law that the USCCB has imposed on this issue is contained in the "National Directory for the Formation, Ministry and Life of Permanent Deacons in the United States," which requires that a deacon seeking to run for a public office (such as a judgeship, and so on), should have prior written permission of his bishop. Bottom line: I'm not suggesting that any of this should become the "norm" for diaconal ministry. It is, however, a rather unique situation for deacons, given the nature of their various states of life. It is impossible to have a real discussion or communication by using comment boxes, so I will not try anymore. And we can just agree to disagree. My point with the crisis over lay ministry is misunderstood; I did not mean individual deacons have a problem with lay ministry. The crisis is on the deeper ecclesiology that has developed in the past 50 years regarding lay ministry that was not even on the radar when the diaconate was developing in the 1940’s to 1970’s. I think one can say that the crisis with the diaconate is an identity crisis. There is the theory of the diaconate, and then there is the parish experience of the diaconate. I am in an area where there are many deacons in a number of dioceses. I am sure your average informed person in a parish would see the deacon as an older man, who helps out with baptisms, funerals and occasional preaching and is usually married. The idea that they were icons of self-sacrificing service would not really register. But now I am falling into the trap of getting caught in the limitations of communication by com boxes. Anthony, don't let my Ph.D. fool you. I've had a lifetime of "real world" experiences, including 22 years in the Navy, including years spent underwater in the submarine force, and assignments overseas from Okinawa to Cyprus and all points in between. I was an enlisted sailor and an officer, and that was as a line officer, not a chaplain. I've also served as lay minister and as deacon in more than 20 parishes and a dozen dioceses over the years. I'm not blind, nor am I naive about the real situations facing us. I'm open to any and all discussions here, and I am NOT interested in just having whatever you perceive an "academic" discussion to be. I also belive that theory and vision are important if we are eventually to work toward making those things things real in our individual and ecclesial lives. So, don't give up on continuing the conversation, but also I ask that you not make generalizations or assumptions, either. That's another risk of these online blogs and we all have to be sensitive to them. Perhaps this are different in Europe where, I assume, Canon Law ideas originate but I do not think a deacon or any clergyman should have anything to do with any party-sepcific political action. Even though we live and move in the lay milieu we are clergy and represent the Catholic Church in an official way as do priests and bishops. To publicly allign oneself in any way with a specific political party is to alientate some among whom we are called to minister. I can see how this may have been seen as appropriate in the beginning of the restoration of the permanent diaconate (along with other issues in clerical vs. lay tensions of our vocation) but as the PD developes and becomes more "usual" in parishes there is less confusion over WHO we are (yes it still exists but not as widespread as in the past at least in my experience.) I see especially among the newer candidates and deacons a fresh view and appreciation of our status as clergy and the political aspect (along with other canons dealing with visible clerical vociation such as clothing) is part of this renewed understanding. --I absolutely agree with you that the current political environment here in the United States is far too toxic for a deacon to run under the umbrella of a political party for any office other than a fairly non-controversial local post. Non-political elections -- as judges are in some areas of the country -- might also work. --During the 2004 presidential election we saw something I never believed could happen under the US Constitution. A religious criteria was used to judge the value of a presidential candidate. A certain Roman Catholic portion of the American electorate rejected Senator John Kerry on the sole grounds that he was not "Catholic enough." --Now -- as to "collars." I've been a deacon for 32 years and never even owned a "collar" until I went on my pilgrimage to Rome. During that trip, I wore it once -- during the Wednesday Papal audience -- and have not worn it since. I do wear a "Deacon's Pin" (my favorite is the design of the deacons in the Diocese of Ogdensburg NY)almost always when I am in public -- including at times when I am on the campus of our local public college. Norbert - congratulations on being a deacon for 32 years! That's awesome. I am not surprised that you do not wear a collar as I think most who have been deacons as long as you (and even not as long but still those not newly ordained) were either directly taught or indirectly encouraged not to do so. I have noticed in our archdiocese that the more elderly deacons (65 or older) tend to never wear one. And I have been told by them that to want to wear the collar was seen as trying to be a "mini priest" so I guess this was part of the confusion of the times that followed Vatican II and plagued the Church until recently. But among the more newly ordained and candidates - especially in dioceses with bishops who are of the JPII fashion - the collar is worn much more often now for official ministry than in the past as far as I have witnessed. But then this is a growing trend in priestly and religious life as well. Newer and/or younger persons are much more "into" the public wintess of the collar (or habit) and those who come from the "we remember Vatican II" generation. I do not see it as a priestly garment and its not. Its a clerical one. And I don't see wearing it as saying anything else but the truth: we are ordained clergymen officially and publicly witnessing to the presence of Christ and the Church in our ministries. Of course guyes I know who do wear the collar often don't wear it to their professional "day jobs" or at recreation times. But its not something we find to be a "barrier" with people but much muchm more the opposite. People will come and strike up a conversation who would otherwise just pass us by and that would be a wasted opportunity for them and for us. This seems somewhat redundant but I feel compelled to weigh in on the topic. I too disagree with deacons serving in elected positions. I have been an eight year elected Alderman, non partisan, for my city and a twelve year, partisan, Sheriff of the County. So all told twenty years in the ring. While canon law may release us from the obligation to abstain from political office it doesn't mean we shouldn't or can't still follow the law on prohibition. I agree with the position that we should work with our laity to provide strong Catholic office holders.